420D nylon. 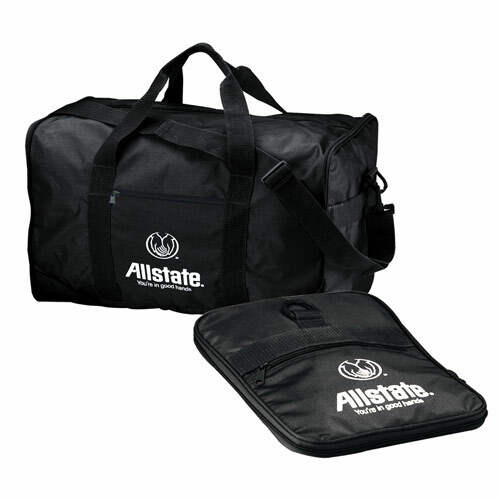 2 zippered compartments when fully expanded. Convertible to a compact pouch when needed. Adjustable shoulder strap. Size: 19 1/2 " x 12 " x 10 "